Monrovia – The European Union (EU) has launched a project “Strengthening the Human Rights of Prisoners within Correctional Facilities and at Grassroots Level in Liberia. Funded by the European Union and implemented by the Serving Humanity for Empowerment and Development (SHED) and Rural Human Rights Activists Program (RHRAP) in partnership with FINN CHURCH AID (FCA) in FINLAND, the two-year project seeks to promote respect for the rule of law, human rights and adherence to national and international standards for prisoners and the strengthening of the capacities of justice actors in Liberia in Margibi, Bong, Nimba and Lofa counties. It also aims at improving access to justice by enhancing local capacities, awareness and resources to provide protection of prisoners’ rights according to international human rights instruments. Speaking at a ceremony of the project launch in Kakata Prison Facility, Margibi County, the Head of the Cooperation Section for Governance and Education at the Delegation of the European Union to Liberia, Dr. Hans Lambrecht, emphasized that the project will enhance the knowledge of law enforcement representatives including police, and correction officers, legal practitioners as well as enlightens community leaders to the rule of law and international human rights standards. He added that the initiative will further increase legal assistance for vulnerable detainees; strengthen dialogue, cohesion building and information sharing between stakeholders and improve attitude and practices, through awareness raising and advocacy at national and international level on issues of vulnerable detainees’ rights. “The project is funded by the European Union Instrument for Democracy and Human Rights (EIDHR) in continuation of sustaining the gains made from the just ended EIDHR project in January 2019 and now being extended to provide continued support to the Bureau of Correction & Rehabilitation in all four counties but more particular in support addressing the prisoners’ human rights concerns,” Dr. Hans Lambrecht, stressed. Similarly, the Ambassador of Sweden, H.E. Ambassador Wetterqvist, lauded the efforts by the EU and implementing partners and urged the Bureau of Correction to make maximum use of the support provided by the partners. 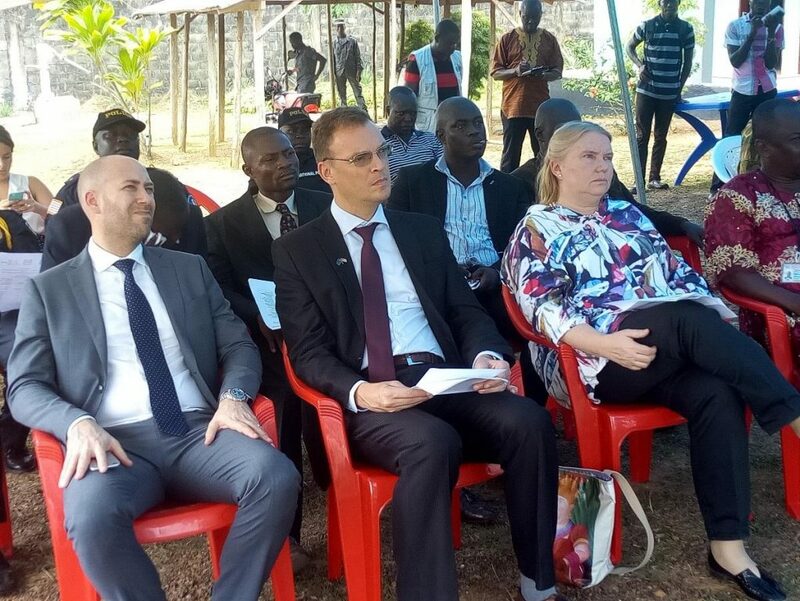 Both representatives from the EU Delegation in Liberia and the Swedish Embassy then toured the prison facilities including the newly established library for prisoners and the refurbished and equipped record room put in place by the project partners. Talking about the overview of the project, the SHED Project Manager, Godo E. Kolubah and Lorma Baysah of Rural Human Rights Activist Program, explained that “the project has been designed to address some of the many challenges still faced by the justice system in Liberia according to the data acquired during the implementation of the current EIDHR and its successes and achievement in the past two years. 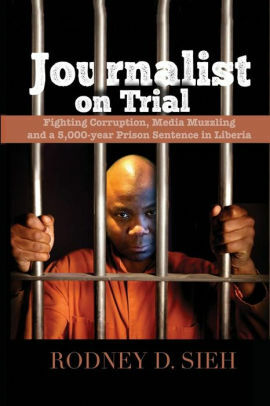 It addresses several knowledge gaps faced by target groups involved in the administration of justice, such as correctional officers, lawyers, magistrates as well as detainees, religious representatives and community leaders/members with the aim of protecting detainees whose rights have been or are at risk of being violated through illegal arrests, prolonged detention, inhuman detention practices, SGBV and no access to legal counselling and representation. SHED, formerly Finn Church Aid (FCA) Liberia, is a Liberian organization established as a national office following the departure of FCA after ten (10) years of work in Liberia. SHED head office is located in Johnson Compound, adjacent Musu Spot, Congo Town. SHED’s action is guided by international human rights standards and principles. As a right-based actor, SHED facilitates dialogues and peace building between the right-holders and duty bearers to address root causes of conflict. SHED is a right-based organization working on human rights, peace building, education, Watsan and livelihoods programs in Liberia. RHRAP is a local human rights organizations with over 15 years experience working on the promotion and protection of human rights and rule of law in Liberia.